Like many Catholics I am troubled by the notion of “reducing” an errant cleric to the lay state. Such language clearly implies that the clerical state is superior to the lay state. It is not. All of us in orders are ordained to serve our sisters and brothers. While the need for the transitional diaconate (something that I go back-and-forth on) is questionable, the fact is every priest, which means every bishop, is ordained and so remains a deacon. Taken to its logical conclusion, at least when approached from a Catholic perspective, such a view also implies that men are superior to women, despite protests to contrary. 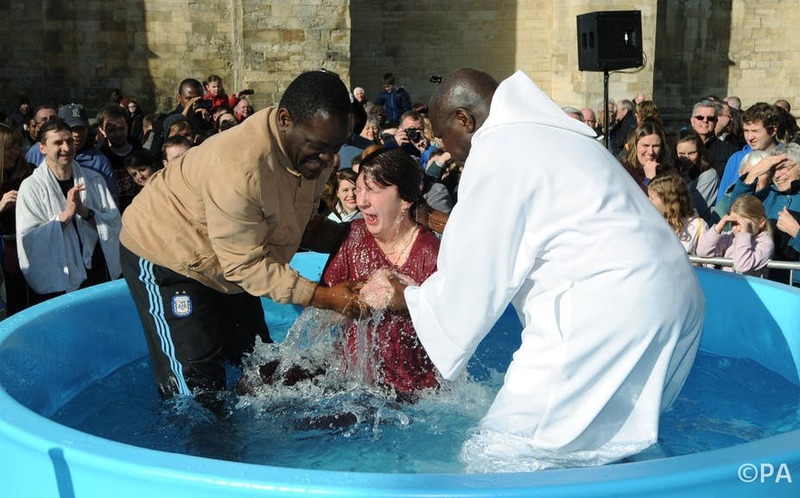 Because Baptism is the foundation on which all other vocations are built, including clerical ones, belonging to the order of the laity is an elevated state. The alb we clerics wear under our vestments, over which we don our stoles and other vestments (i.e., chasubles, dalmatics, copes, etc.) symbolizes our Baptism. In view of this, it would be perfectly acceptable for all the baptized to wear an alb at Mass. I understand that most lay women and men who read this will say, "No thanks." I am simply trying to make a point using an illustration. I feel the same way about wearing clerics, something I do a few times a year. I remember then-Bishop George Niederauer (he went on to serve as archbishop of San Francisco) sharing a story about another bishop. As I remember it, at supper for men who he was ordaining to the priesthood the next day, this bishop, who was going to ordain them, stood and addressed them with words like these: “Tomorrow the Church will ordain you priests because she can't trust you to be good laymen.” It is a famous story. I am sure someone could easily supply the details in a comment should s/he be so inclined. It is the not the details of the story in which I am interested but the point of the remark, which I am confident I have conveyed accurately enough. In his homily at our ordination Mass, Niederauer warned my classmates and I against thinking of ourselves as "Special Catholics." We were being ordained to serve our sisters and brothers and the wider world, not to gain some status for ourselves. Thinking about it now, it seems that at ordination we were reduced to the diaconate. Instead of "reducing" erring clerics to the lay state, the Church should consider bringing back the order of Penitents and reserve this order only for abusive and gravely errant clerics. Upon their removal from the clerical state, abusive and gravely errant clericss are enrolled in the order of penitents. They remain penitents for a fixed minimum of time, which can be extended until such a time as they show the fruits of conversion. Only after this can a man be, once again, elevated to order of the laity. If an errant cleric refuses to become a penitent, he is automatically and publicly excommunicated. The only way he can ever be admitted back into the Church is via the order of penitents. Once excommunicated, the Church bears no responsibility to maintain him materially, except through her charitable programs, which we extend to anyone in need. Essentially, he's on his own until he wants to repent in sack cloth and ashes, literally. Even as a penitent, he is reduced to a very simple existence, which is both part of and conducive to repentance. I think, if done correctly, this can be restorative justice. More fundamental still, I think Roman Catholics in particular require a saner, more biblical, more historical, that is, more Traditional, theology of holy orders. No reform is acceptable that does not include a more authoritative role for members of laity and women in particular. This should pertain not only to episcopal accountability but to the selection of bishops. After all, Baptism, not ordination, is the fundamental sacrament of Christian life. In my view, the problems the Church continues to face do not flow from the Second Vatican Council, unless it is in reference to the Church not yet fully implementing it, but from the First Vatican Council. Vatican I, as it is called in ecclesiological short-hand, was the culmination of the ultramontane bender the Roman Catholic Church went on in the nineteenth century. This summer I read three books that really brought this home: the late Archbishop John R. Quinn's Revered and Reviled: A Re-Examination of Vatican Council I; John W. O'Malley's Vatican I: The Council and the Ultramontane Church; Hubert Wolf's The Nuns of Sant'Ambrosio: The True Story of a Convent in Scandal. In our current situation, the Church could use more bishops like John Quinn. Not that he was perfect but he was a committed Christian, which translated into being a committed and serious bishop, one who demonstrated how a bishop needs to learn and to grow, to read the signs of the times while remaining faithful to God's revelation in Christ as handed on in Scripture and Tradition. This summer I also re-read Quinn's Reform of the Papacy: The Costly Call to Christain Unity (Ut Unum Sint). While the program of reform he suggested in this book was a good-faith response to Pope John Paul II's invitation, issued in his encyclical letter Ut Unum Sint, Quinn was marginalized for setting it forth. We would be wise to consider much of what he proposed. Instead of a response, Vatican I was a reaction to a rapidly-changing world. Vatican I was the climax of the Counter-Reformation, which went on way too long. One of the overarching goals of Vatican II was to bring an end to the Counter-Reformation. Ending the Counter-Reformation clearly falls under aggiornamento, an Italian word used by Pope John XXIII in his speech of 25 January 1959. It was in this speech Good Pope John surprised the world by announcing he was convening an ecumenical council. Essentially, aggiornamento refers to "bringing up to date." Along with the French word ressourcement, which invokes a return to the sources (i.e., Scripture and the early Church), aggiornamento constituted the program of the Second Vatican Ecumenical Council. With regard to re-establishing a better theology of the sacrament of orders, ressourcement is precisely what I am calling for. It's time to fully recover from the effects the Church's nineteenth century bender. Among other things, the current crisis presents the Church with an opportunity to do this. In his Letter to the People of God, Pope Francis pointed to clericalism as the root cause of abuse and cover-up. Citing a letter he wrote to Cardinal Marc Ouellet, who, in addition to serving as Prefect for the Congregation of Bishops, serves as President of the Pontifical Commission for Latin America, the Holy Father noted that clericalism "not only nullifies the character of Christians, but also tends to diminish and undervalue the baptismal grace that the Holy Spirit has placed in the heart of our people." Continuing, the Pontiff wrote: "Clericalism, whether fostered by priests themselves or by lay persons, leads to an excision in the ecclesial body that supports and helps to perpetuate many of the evils that we are condemning today. To say 'no' to abuse is to say an emphatic 'no' to all forms of clericalism." Thank you for this thoughtful posting. I hadn't thought of the order of penitents. Let us all pray assiduously for the Church, especially her wounded members. Thank you so much - so informative, and an aid to putting things into historical perspective. On the strength of it I have ordered "Revered and Reviled." And "ultramondane bender" is a phrase which deserves the widest possible circulation. Well said. What can it mean to say "I do"?